The following points highlight the four important features of Schumpeter’s theory of economic development. Schumpeter starts his analysis of development process with the concept of circular flow. It implies a condition where economic activity produces itself continuously at constant rate through time." Entrepreneur or innovator is the key figure in Schumpeter analysis of the process of development. He occupies the central place in the development process because he initiates development in a society and carries it forward. Entrepreneurship is different from managerial activity." The next component of development according to Schumpeter is the business cycle. Schumpeter’s approach to business cycle or crisis is historical, statistical and analytical. He believes that business cycle or crisis is not merely the result of economic factors but also of non-economic factors. 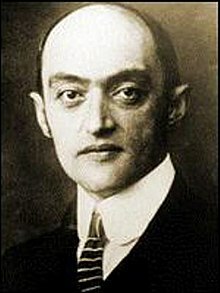 Schumpeter concludes that crisis is the “process by which economic life adapts itself to the new economic conditions”." The continuous technical progress results in an unbounded increase in total and per capita output. As long as technological progress takes place, the rate of profit is positive. Hence, there can be no drying up of sources of investible funds nor any vanishing of investment opportunities." "We are living in a complex and dynamic world in which innovation and entrepreneurship are occupying a decisive role for economic development. According to Joseph Alois Schumpeter “carrying out innovations is the only function which is fundamental in history”. He also accented that it is entrepreneurship that ”replaces today’s Pareto optimum with tomorrow’s different new thing”. Schumpeter's words that entrepreneurship is innovation have never seemed so appropriate as the nowadays, when modern capitalism is experiencing a serious crisis and lost his strength during last subprime and euro-debt crises. The purpose of this paper is the analysis of the Schumpeter’s innovation concept in a context of “first” and “second” Entrepreneurship theory."